A couple of weeks ago Stef wrote up a great review of guitar related albums. In it, he expressed concern that it seemed like many guitar albums went unreviewed on the blog ... well, that's probably true to some extent, as there is just too damn much good music in general, but I'd like to take a moment to point out some guitar album reviews from this past year including guitar week, the menacing Slobber Pup, veterans like Bill Frisell, mad scientists like Marc Ribot and Mary Halvorson, rootsy Ross Hammond and the ever fascinating Marc Ducret. Ok, that's not quite comprehensive, but now with that off my chest, why not add a couple more names to the list? Is it right to start off a review of guitar albums with a bassist's album? 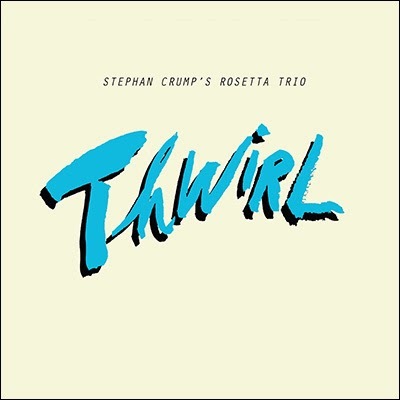 I think so since it seems that Stephen Crump likes working with great guitarists. He recently released a duo effort, Secret Keeper, with Mary Halvorson, and in his Rosetta Trio he surrounds himself with two fantastic players in Liberty Ellman and Jamie Fox. The album with Halvorson was quite successful, drawing on the more subtle aspects of the duo's playing and likewise, Thwirl is also an understated but insistent affair. The Rosetta Trio places the bassist's playing in contrast between the two guitarists to great effect. Tunes like the opening 'Ending' features the guitarists playing rhythmic figures against each other, while the bass provides and anchor between their phrases. Openly strummed chords announce the alt-rock 'Reclamation Zone', while a folksy-bluesy melody floats above. Speaking of Mary Halvorson, my gut reaction to her new trio release Ghost Loop (a live concert recording that seems to be available from Instant Jazz), is that it's just flat out excellent. 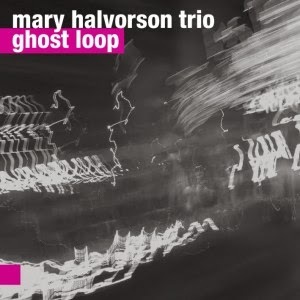 Halvorson's compositions and studio recordings seem to keep growing in scope and sophistication - from the trio to the quintet and recently to the septet recording. Ghost Loop is stripped back to the essential three piece: Halvorson on guitar, Ches Smith on drums and John Hebert on bass, so the textures and horn arrangements that she had been developing on her recent recordings are less of a factor and the the trio's playing comes to the fore. Several of the tracks really showcase Halvorson's versatility, such as the gently arpeggiated "Into the Sea Into Me (No. 36)", which as the tune evolves, erupts with raw power. However, these delightfully fierce moments are balanced out with quite lyrical passages. The jarring syncopations in "Crashes Like Light (no. 29)" are captivating and showcases just how in tune the trio is with each other. The tracks are Halvorson's compositions, some of which have appeared on her recordings and others making what seems to be recorded debuts. One of my favorite Finnish power trios (yes, I have more than one) keeps flying ever further out into the unknown. 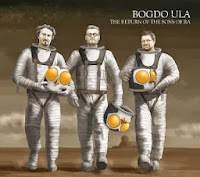 Illustrated clad in spacesuits with their craft nearby, Bogdo Ula's fourth album spans the cosmic void effortlessly. Delving deep into sound collages and impressionistic sequences and segueing into expressive Rypdal-like arcs, the group turns searching improvisations into kinetic journeys. The ringing of Samuli Kristian's heavily effected guitar on 'Killing Horizon' echoes loudly over the rumble of Jean Ruin's bass and the pulse of Ivan Horder's drums, while the improvised melodies between the guitar and bass on 'Io Gas & Coal Company Wish You Bon Voyage' are sparse and effective. More and more atmosphere is creeping in, along with spaciousness, electronics and risk. It seems that each new release finds the trio stretching the boundaries of their brand of jazz rock. I recently had the pleasure of seeing Norway's Bushman's Revenge make some rare concert appearances in New York City. The power trio tore it up with a nonchalance that comes with a knowing confidence, brutalizing and harmonizing their way through scintillating sets. 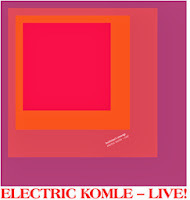 So, it's with pleasure that I give Electric Kolme - Live! a spin. Recorded at the Storyville jazz club in Molde in May 2012, the limited pressing LP's tiny grooves (with includes a CD of the album as well) somehow contains the scarring guitar of Even Helte Hermansen, the propulsive polyrhythyms of Rune Nergaard and the zestful electric bass of Gard Nilssen. While the group leans towards the heavier side, their music is still loose and specked with reflective moments that give the powerful passages even more heft. 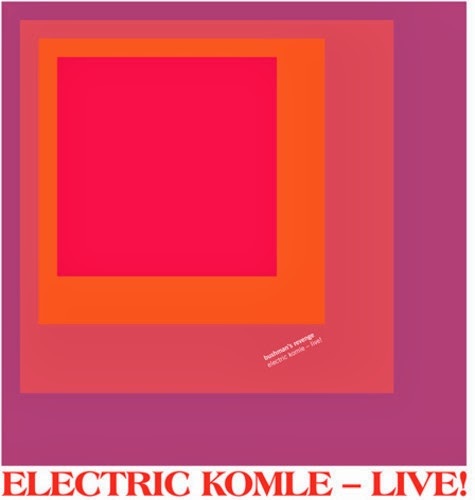 If I were to pick a favorite song from this set it may have to be to their scorching version of Ornette Coleman's 'Lonely Woman, but then again, Sonny Sharrock's 'As We Used to Sing' is excellent as well. Put it on the record player, turn it up way too loud, wad up some toilet paper in your ears, and behold the Bushman's Revenge. Guitarist Rich Rosenthal hasn't recorded much as a leader to date, but has worked with some big names in the field, like Joe McPhee, Michael Bisio, Joe Giardullo among others. On Falling Up, the New York based guitarist has made a nice debut. 'Powder Hysteria' kicks things off with a dissonant ping ponging of chords, segueing into a unison melody between the guitar and sax. After a flurry of notes, space opens up for a compelling set of solos. Track two, 'No Baby', begins with the oddly chanted words 'No Baby' whose syllables are transformed a rhythmic motif. An edgy solo by Rosenthal follows. Track 4, 'We Sneezawee', finds Rosenthal playing with a fuzzier tone, the bass is a little punchier, and were into some solid jazz-rock. The next track 'Eternal Meltdown' has some sharp shards of sound bring tossed around after a dramatic sax intro. My only complain is that some momentum is a lost with the synthesizer on 'Airing Out'. Overall, Falling Up is a compelling album that fuses adventurous ideas with an accessible approach. Paul sat listening to music with toilet paper in his ears. That's become my troubling image for the day. These New Yorkers! That's for verisimilitude ... my experience with the group live was that it was really really loud and I wasn't equipped with proper ear plugs. I'd like to think that we're a practical bunch.